Mark Volpe, Managing Director, Boston Symphony Orchestra, Based in Boston, Massachusetts, USA. 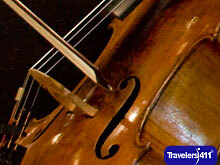 Visit the Travelers411 Directory listing for Boston Symphony Orchestra. Mark Volpe, Managing Director, Boston Symphony Orchestra was on the July 1, 2018 "Travel with Stephanie Abrams!" Radio Show in hour 1. Visit the Directory for Boston Symphony Orchestra. Mark Volpe was also on the June 30, 2018 "Travelers411" Radio Show in hour 1. Mark Volpe was also on the August 4, 2013 "Travel with Stephanie Abrams!" Radio Show in hour 1.